CARP University of Bridgeport (UB) and CARP Grand Rapids hosted events where professors came and shared their wisdom to students, much like LV’s Campus Talks. It provided an opportunity at the end of the year for the campus community to think about their values and passions that might have been forgotten along the way. 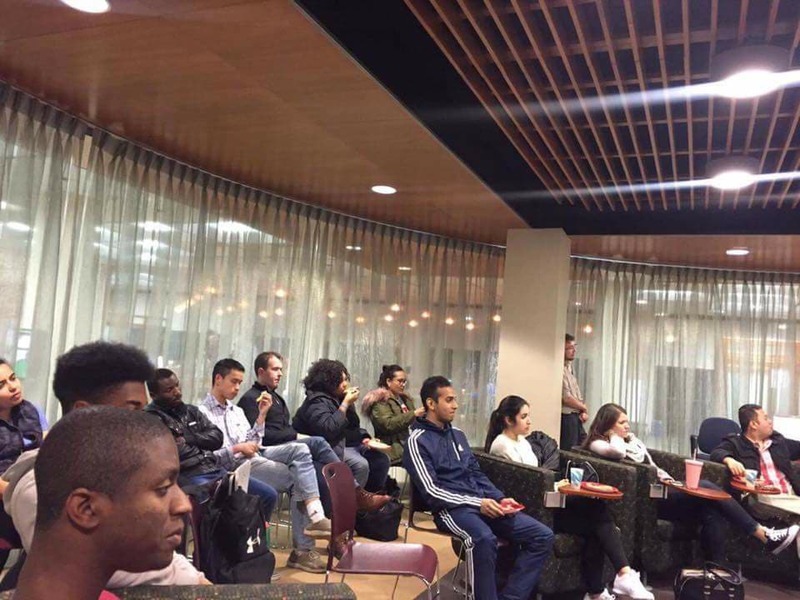 On November 29th, CARP UB hosted their event called, “On Being: A Discussion with Professors About Finding Your Identity, Values, and Passion in a Global Society” with another club on campus, the Global Affair Society. Twenty-five people in total attended the event including students, faculty, and community supporters. How do you define success? What do you see is the connection between following your passion and being successful? If you have to make compromises in life, what are the things that are non-negotiable and what can be let go? How do you find and develop your core values and do they change with time? Professors gave their input and then the floor was open to for everyone to share. “I never thought about being, the word itself…and I want to understand the meaning of this,” one professor said. Opening the floor and creating a space for both professors and students to talk allowed students to feel free to ask questions and gain advice from the professors and peers. CARP Grand Rapids’ event on November 30th hosted guest speaker, Kathryn Davis, who talked about “Healing the Heart of America.” 18 students and two faculty attended the event. Ms. Davis explained that everyone is a part of a family, the human family and change can take place when that is understood. She called for everyone to focus more on the spiritual side of life instead of the external. Through her talk, CARP realized that, even though everyone has the same internal value, the racism and discrimination that was happening on campus was because people were focusing on the external. After the presentation, the students talked about how they could solve these issues on campus. Many students were inspired to participate in helping CARP to create a solution. The professors of both events shared many personal testimonies about how they figured out what values were non-negotiable in their lives and how it lead to their success in their lives. Their openness allowed the students to share about themselves and their opinions and views. The conversations that were started by these campuses are good ones to reflect on as we close the year. What values are non-negotiable to you and how do they help you build success? How can those values heal our nation? Share your responses below!